A GRACIOUS 2 STORY FOYER WELCOMES YOU INTO THIS OPEN & BRIGHT HOME WITH FORMAL LIVING ROOM/OFFICE, DINING ROOM, AND OPEN GREAT ROOM. STYLISHLY REMODELED KITCHEN WITH RICH CUSTOM CABINETRY, GRANITE, GLASS /STONE BACKSPLASH, CENTER ISLAND, BREAKFAST BAR, BREAKFAST NOOK & STAINLESS STEEL APPLIANCES INCLUDING DOUBLE OVEN GAS RANGE. ADJOINING SUNROOM PROVIDES PERFECT SPOT TO RELAX & UNWIND. LARGE MASTER SUITE WITH TWO WALK-IN CLOSETS. LUXURIOUS MASTER BATH BOASTS A LARGE WALK-IN TILED SHOWER, SPA TUB, & DOUBLE VANITIES. GENEROUSLY SIZED BEDROOMS WITH GREAT CLOSETS. YOU’LL ENJOY THE OUTDOORS ON THE DECK WITH AWNING OVERLOOKING THE LARGE YARD AND RECREATIONAL LAKE GREAT FOR PADDLE BOARDING WITH ACCESS TO BACK BAY. THIS THRIVING ESTABLISHED COMMUNITY HAS AN ACTIVE CIVIC LEAGUE (WITH NO HOA DUES! ), NUMEROUS NEIGHBORHOOD EVENTS, AND IS LOCATED CLOSE TO EVERY AMENITY IMAGINABLE INCLUDING LOCAL BEACHES, GOLF COURSES, POPULAR RESTAURANTS, SHOPPING AND SOUGHT-AFTER SCHOOLS. THE ONLY THING MISSING IS YOU! Ready to visit 1068 Sandoval? Request a free property tour! Send me more information about the listing at 1068 Sandoval, Virginia Beach, VA 23454, MLS# 10175944. 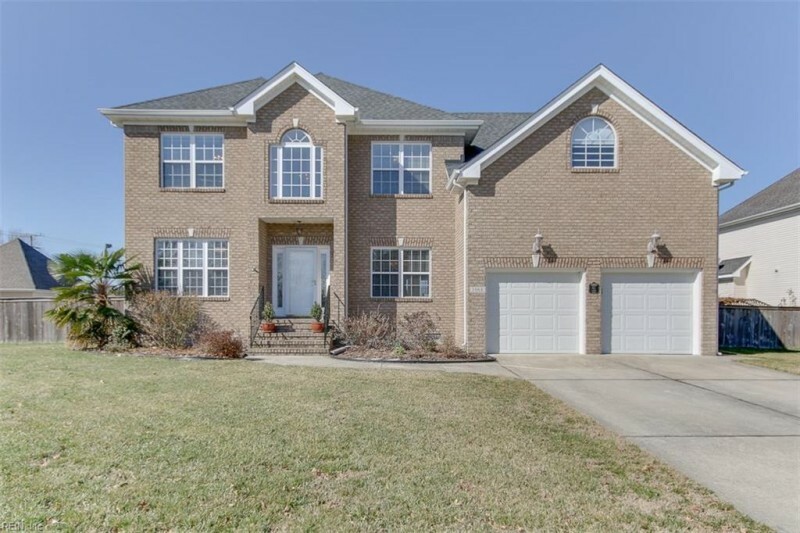 This 4 bedroom, 3 bathroom home located at 1068 Sandoval, Virginia Beach, VA 23454 has approximately 3,342 square feet. It is currently listed for $535,000 and has a price per sqft of $16,008. This home is currently New Listing under the MLS#: 10175944. This listing is provided by Keller Williams Town Center. 1068 Sandoval Drive, Virginia Beach was built in 2003. It has Garage Att 2 Car, 4 Space, Driveway Spc parking.The kitchen includes Dishwasher, Disposal, Dryer, Microwave, Gas Range, Refrigerator, Washer. 1068 Sandoval is part of the South Shore Estates neighborhood located in 23454.